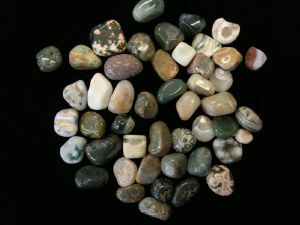 Also known as Ocean Jasper, Orbicular Japer is called this because of it’s orb or bull’s-eye patterns that can occur which are also seen in Leopardskin and Poppy Jaspers. 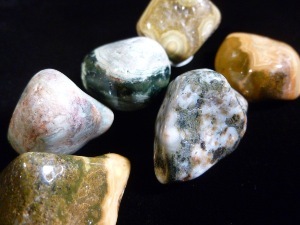 The name Ocean Jasper was given to those orbicular jaspers that can be collected on a remote shore of Madagascar only at low tide as rest of the time the ocean conceals them. It is believed to be full of positive gentle nurturing energy that may help anyone who wears or holds it regularly to develop self-love and empathy for others.